Splendid Polynesian villa with pool set on a white sand beach. Exceptional property by its location and architecture! 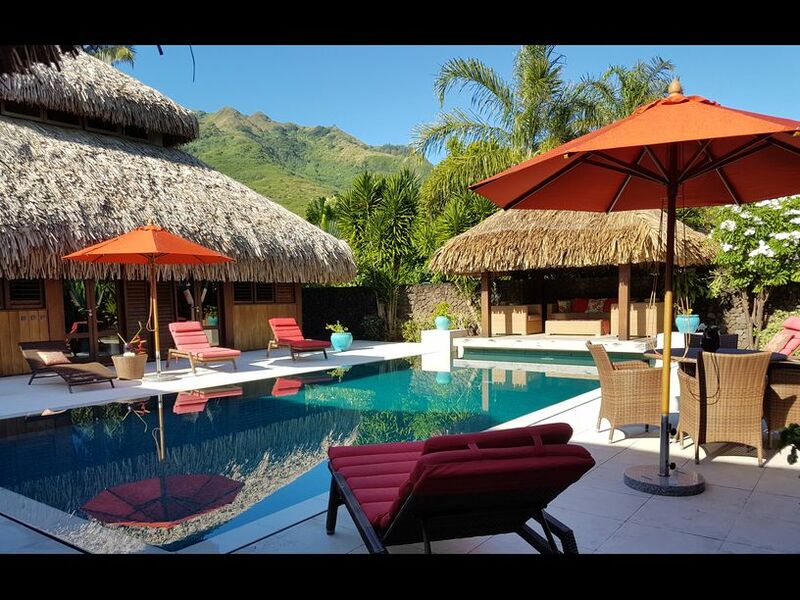 Unique in Moorea, this villa features 6 bedrooms, 5 bathrooms, 1 lounge, 1 kitchen with dining table. 2 terraces, fabulous pool in an non overlooked garden, 3 parking, 1 laundry. Fully equipped and furnished. Alarm system. Located in the heart of a private neighborhood at only 5 min drive from ferry docks and Maharepa center (stores, post office, medical center, restaurants, chemistry). Perfect as tourism investment or holiday home. Land: 2149 m² , Buildings approx. 350 m².